Project Pink Blue and Wikimedia UG Nigeria, in partnership with WikiAfrica, and the Goethe-Institut will be co-hosting a 2-day workshop Wiki Loves Women in Abuja, Nigeria. The 2-day workshop will teach up to 20 women in Abuja how they can create contents on Wikipedia and increase visibility for activities of women in Nigeria. Gender inequality is rife in many parts Africa. Over the years, many strides have been taken to address inequalities in the workplace and within society. However, particularly online there remains systematic bias that disadvantages women by only profiling men, especially with regards to information, news and knowledge. ⦁ In the English Wikipedia an article about a notable person that mentions that the person is divorced is 4.4 times more likely to be about a woman rather than a man. ⦁ Only 25% of edits to subjects about the Sub-Saharan region come from within that region. 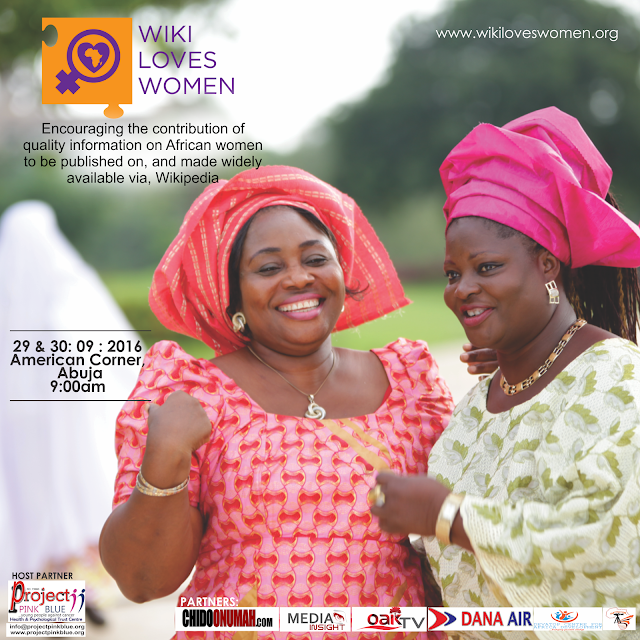 Wiki Loves Women project addresses this bias and focuses on bridging two significant gaps on Wikipedia project- Women and Africa-both in term of content about this subject and participation by women from the continent. The project leverages on Wikipedia role as global knowledge resource to achieve accessible and fair representation of women online. The Wiki Loves Women project is designed by Florence Devouard and Isla Haddow-Flood to align with the WikiAfrica movement and is run in collaboration with the Goethe-Institut. Isla Haddow-Flood, is a writer, editor and project strategist and Florence Devouard is a public speaker, open advocate and former Chair of the Wikimedia Foundation. The project is coordinated in Nigeria by Olaniyan Olushola, the co-founder of Wikimedia UG Nigeria. It takes place in four sub-Saharan African countries, Côte d'Ivoire, Ghana, Cameroon and Nigeria. The proposal and project documentation are published under CC BY SA 4.0. The Wiki Loves Women project seeks to fill two major subject gaps – women and Africa – on the free encyclopedia Wikipedia. These gaps exist both in content on these two themes, but also in terms of participation in the editorial level. The Wiki Loves Women project was designed by Florence Devouard and Isla Haddow-Flood to align with the WikiAfrica movement and is run in collaboration with the Goethe-Institut. It takes place in four sub-Saharan African countries, Côte d'Ivoire, Ghana, Cameroon and Nigeria. The proposal and project documentation are published under CC BY SA 4.0. The Project PINK BLUE- Health & Psychological Trust Centre creates awareness of cancer, and provides free cancer screenings, supports women battling cancer, provides patient navigation through 08000CANCER (08000226237), provides palliative care to women battling advanced breast cancer, and advocates and mobilises volunteers for medical missions to poor, rural and hard-to-reach communities. Project PINK BLUE’s goals are to reduce the incidence of cancer and phase-out late/advanced diagnosis of cancer in Nigeria. 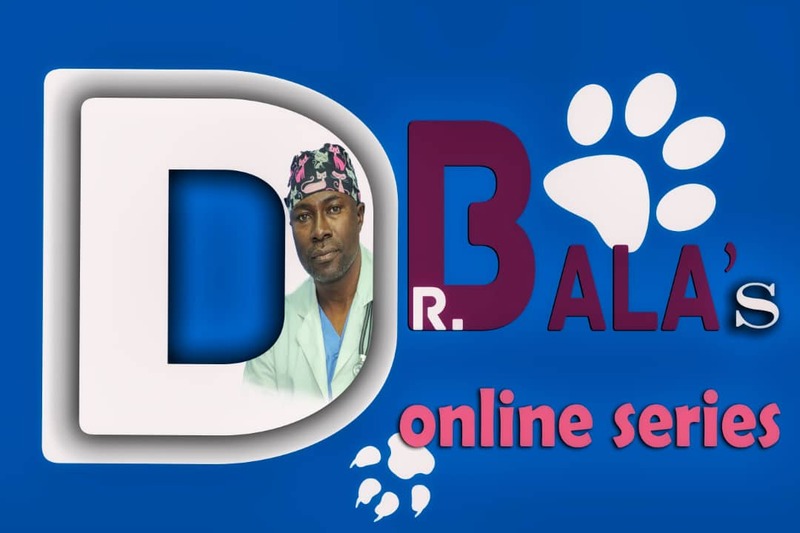 They are passionate about changing the way people think about cancer in Nigeria, and are driven by the fanatic passion to contribute to the change Nigeria’s healthcare sector! The Goethe-Institut is the cultural institute of the Federal Republic of Germany with a global reach. We promote knowledge of the German language abroad and foster international cultural cooperation. We convey a comprehensive picture of Germany by providing information on Germany's cultural, social and political life. The Goethe-Institut in Johannesburg regulates the work in the Sub-Saharan countries. Its activities in this region have a special focus on strengthening the pan-African dialogue, and on promoting mobile access to information and education. WikiAfrica is an international movement that takes place on the African continent and beyond. It encourages individuals, interested groups and organisations to create, expand and enhance online content about Africa. This involves motivating for the representation of the continent’s contemporary realities and history, its peoples and its innovations on the world’s most used encyclopaedia, Wikipedia. In its various guises and hosted at several institutions (including Lettera27, Africa Centre, Yorg, Short Story Day Africa and Wikimedia CH), the WikiAfrica movement has consistently instigated and led multi-faceted innovative projects. These projects have activated communities and driven content onto Wikipedia. Examples include Share Your Knowledge, #OpenAfrica training courses, Toolkits, Kumusha Bus (in Ethiopia and Ghana), WikiEntrepreneur (in Ethiopia and Malawi), Kumusha Takes Wiki and Wiki Loves Africa. Over 2016/17 it is working on Wiki Loves Women (in collaboration with the Goethe Institute), WikiPack Africa, WikiFundi and the WikiChallenge African Schools (funded by the Orange Foundation), Wikipedia Primary and Wiki Loves Africa.